Review: Game(s) of the Year 2018 – Ohhh Dis! Here we are; another December has come and the year is nearly finished. Isn’t it about time we looked back at 2018 and all that it’s given us? Well, at least what video games I most enjoyed. I mean, America is still in the throes of unfortunately fascist behavior, so yes, I’ve been hiding whenever possible, watching and playing games to pretend this planet doesn’t exist right now. At least these troubled times have helped me to see the further inherent value of geek culture and all that falls under that umbrella, but especially so in the case of video games. These are immersive experiences, be they puzzles or RPGs or action adventures, and yet a select few do more than just ‘hit the mark’, they excel and implore an entirely new mindset on our return to reality. Before I even begin to discuss this one, let me be completely honest: this choice is riddled by personal bias and there are A LOT of reasons this game probably shouldn’t be on any ‘top’ list, all valid opinions, truly. That being said, my number five is FINAL FANTASY XV: ROYAL EDITION. You’ve all seen my extensive thoughts summarized on Final Fantasy XV as a game on its own, so again, noting the bias laced into this choice. What I’d like to differentiate here is that this, the ‘Royal Edition’, is in fact the true result of the COMPLETE Final Fantasy XV experience. It has every possible patch of story included, every DLC, every unlocked dungeon or weapon or enemy or vehicle, to finally offer fans the FF experience they should be looking for. At its initial release, one could argue that Final Fantasy XV was an incomplete game because it actually was; the premiere funded further patches, but unfortunately that’s not the way to go about creating a game, especially one living on the legacy of one of the greatest video game franchises of all time. Setting aside that ramble, Final Fantasy XV is a remarkable game with thoroughly entertaining mechanics, a genuine effort to combine a realistic take on fantasy worlds such that only these creators could imagine, and a story that gracefully reflects the human heart and the many kinds of relationships we share with family, friends, and even strangers. Final Fantasy will always make you care about its characters, about the hero’s goal, and your own progression as a player, and after many years of hiatus from the franchise, XV succeeded in luring me back into that same sense of triumph and comfort as I had when I was young and trying out Final Fantasy VII for the first time. I include this, the Royal Edition, in my top picks because it IS a 2018 release, and really, if you have any interest whatsoever in this game, this is the version to buy to take on the full experience. Next up at number four, we look at DEATH MARK, a Japanese ‘visual novel’ style game that incorporates clue-finding and grotesque mystery to create a captivating and terrifying interactive story. Following the wake of ‘Corpse Party’ and ‘Ao Oni’s popularity, more and more of these ‘novel’ games are popping up to flood the market with an erratic level of hits and misses in terms of quality. It seems like a highly subjective experience though, at least in terms of reviews, so I won’t name names. Instead, I’ll point you to this pick, a Nintendo Switch title that is slowly being released through other platforms. It has overwhelmingly positive reviews, and there’s good reason for that. Horror can be a tricky genre to tackle with success, but what this game does spectacularly well is pair the stylings of Japanese ghost-lore with an excellent use of sound and graphic design. The story being told tempts you forward, and before you know it, you’re simply lost in the ambiance of your environment until something shocking bursts on to the screen. Even the jump-scares are minimal, though. Death Mark prefers the slow knife effect, where it gradually plants the feeling of unease while the story unfolds. A fitting method, as the story does revolve around an invasive and destructive plant life and the curse it brings. It’s a game that showcases the staples of other visual novel style horror, but takes the player in both familiar and entirely new directions by relying on their comfort in starting to play what they think is typical of the genre. Number three is a game almost everyone can agree on: SPIDER-MAN. It’s been a hot minute since a high quality action RPG was released following a major comic book character, especially a Marvel hero. We’ve had the Arkham saga, some versus fighters, mobile and puzzle games, but other than my foolish love affair with the Captain America: First Avenger PS3 release, I’ve not been able to play and thoroughly enjoy a comic book video game experience that matches the feeling of, say, watching the Marvel Cinematic Universe, until now. Spider-Man feels GREAT. 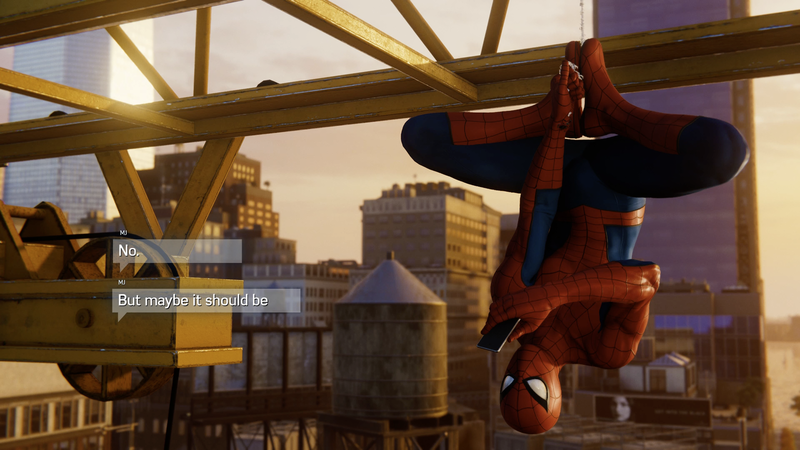 I mean, everything about this game, the fighting, the swinging, the wall crawling, even just walking the streets of New York (and a VAST New York at that) is a breathtaking experience. It feels the right kind of silly sometimes, because you’re literally Peter Parker walking around in your Spidey-disguise, making finger guns at tourists or taking selfies on top of sky-scrapers, but that’s the charm of the character, and it lines every inch of this game so that you really feel like you’re a young superhero saving the day. The game does a great job of welcoming fans of the films into an interactive version of the world of the comics, with villains and other characters that maybe they’ve not been introduced to yet, and so this game is actually really great for kids, despite the TEEN rating, and also pretty damn good at making old fans feel young again. Clocking in at number two, the well-deserved TETRIS EFFECT. The easiest way I can reflect to you how important this choice is would be to share a sort of well known secret about me: I’m HORRID at Tetris. I’ll talk and walk the game of Jenga all day long, but Tetris is one of those games that as much as I enjoy watching skilled players create blocked uniformity, I very rarely partake myself because I’m just that bad at it. But considering all the different rip offs and remakes of this game, perhaps the single most famous video game of all time, I really don’t even watch Tetris being played all that much anymore. I’ve seen all there is to be seen about it. That is, until now. Tetris Effect is a new Playstation 4 title that, following its six year development cycle, has taken the world by storm and for proper reason. This version of Tetris pairs what is classic rule and play into a transformative zen affair, using fractal environments and design to enhance your victories and transform the play area as you climb towards your goal. It’s a terribly beautiful game that warps the atmosphere to your success, changing the functioning sounds and music and visual backgrounds with the pace of your block placement. This seems like a really simple feat, but the way that Tetris Effect does this is quite seamless. They fool you into thinking its effortless, but again, that development time says a thing or two about what they were working to achieve. What this game is most successful at is this: in the end, it’s still Tetris, but it’s also something MORE. Finally, MY top game of 2018 revealed: DETROIT: BECOME HUMAN. Detroit: Become Human is one of those games that stirs up controversy by its overarching themes alone: it’s a game about civil rights, about the oppression of androids in what are glaringly obvious homages to the rights of minorities in our own human history. That being said, many criticisms for this game cite a bland and somewhat depthless take on the topic, and I can’t say that I entirely disagree with that. Each character that you follow in this game represents a different side of history: the oppressed, the oppressor, and those caught in the middle with neutral political standing. This game makes the top of my list for many reasons, but I felt it should be mentioned that this is not the end-all of video games offering social commentary. It does as much as it needs to, enough that lends to the story and makes you empathize specifically with the individual characters, rather than offer a ‘woke’ representation of oppression or social unrest. 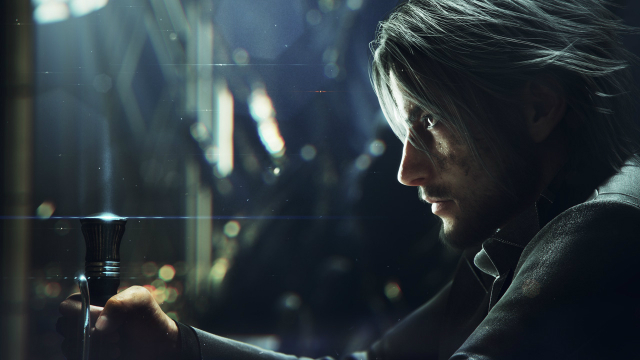 It’s a little unfortunate that it couldn’t have had that representation, but I digress and move on to tell you that I love this game perhaps for the same reasons I love Final Fantasy XV, despite some faults: I love the characters, the world, the options, and the feeling the game consistently leaves you with. This is the first video game experience that I can reference with full honesty when asked if your decisions really have consequence in a multi-storied game. They do here, without a doubt. There are thousands of choices leading to so many ends for each of the three characters involved in the story, it’s a bit mind-boggling to think of how they could have possibly contained it all within one disc. The characters that they showcase – Connor, Markus, and Kara – are all from different walks of life, created for different purposes and situations, but they are under your control, regardless. If you want to run a game that is sadistic and gut-wrenchingly evil, you can totally do that. If you’re looking to be the hero, you can not only do that, but you can do it with DOZENS of outcomes. This game was created as a gritty escape, as often comics are, to a world that is incredibly similar to our own, but now you’ve got the power to go along with it or to effect change. The performances of the actors behind these characters is what drew me thoroughly in. The graphics in this game are of course unbelievably solid, but what sells the world and convinces you of the gameplay is the range that is offered in the android performance. With the subtlest shift, you see where these characters change from submissive to doubtful to deviant to free. The ability of these actors to control and limit their performances and yet so intrinsically display what new emotion they are experiencing (supposedly for the first time) is absolutely uncanny. It’s the talent of Bryan Dechart, Jessie Williams, and Valorie Curry that make this game an interactive-film sort of experience, one that has hours of twists and changes and outcomes. It definitely shouldn’t be taken to reflect genuine, human experience; in fact the opposite: it is meant to enforce empathy on you to those who WANT to be treated with the dignity and respect that living things deserve. It makes you see things from their point of view, whether you decide through the many positive, negative, or neutral pathways offered, and then it makes you follow through with the decisions you’ve made for them, with consequences for failure or success. On to the honorable mentions! Dragonball FighterZ: The most anime game you’ll ever play. Seriously, this animation team sold their soul to Mr. Satan for this kind of power. The Gardens Between: Such clever puzzles in an incredibly peaceful setting. It reminded me so much of Journey, despite it’s very different setting. Sea of Thieves: Even if this game is pretty dependent on content patches, it has a ton of character and charm. It’s the first fun pirate game I’ve played in a long, long time. Forza Horizon 4: Look at the pretty cars. Look at the pretty environments. Look at the pretty reflective surfaces, etcetc forever. Also, good racing games are few and far between.